POPLIFE are the newest, hottest wedding band on the Irish music scene. Get ready to be taken on a journey through the decades of pop with all the classic songs from your childhood through to the biggest hits in today’s charts! POPLIFE are a young and modern 5 piece act that take the roof off every party , delivering an up to date and current sound like no other act around. 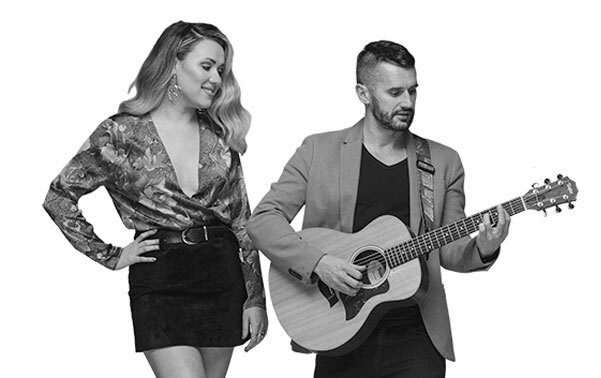 If you want a smooth and seamless flow of first-class entertainment throughout your day, you can add Shane & Jenni’s talents to your POPLIFE booking. Shane and Jenni do ceremony and drinks reception music with a twist. In keeping with the modern sound of POPLIFE they bring old classics up to date and cam make almost any chart song suitable for a ceremony by stripping it down and making it sound like never before.